The tradition of celebrating our Independence Day goes back to the 18th century and starts with the American Revolution (1775-83). During the month of June 1776, representatives of the 13 colonies that were fighting in the revolution, pressed for a resolution that would declare their independence from Great Britain. So it was that on July 2nd of 1776, the Continental Congress voted in favor of independence and two days later, the Declaration of Independence -drafted mainly by Thomas Jefferson-, was approved by the Congress and signed. From that day on, the 4th of July has been a day of celebrations and recognized as the beginning of the American independence. The celebrations are mostly held outdoors for a simple reason, it’s Summer!!! That’s why our events can range from morning parades, to fireworks and concerts at night, to more casual family gatherings and barbecues. Precisely, family picnics and large barbecue 4th of July parties are the most popular activity on this day, and at night, thousands of people gather to enjoy their local firework display. But also meeting up with friends at the bar, so why not come visit us for th best happy hour in Denver. Even though that today it is very normal for us to lay back and enjoy the celebrations, the Independence Day was not always a holiday. It was until 1870 that the U.S. Congress made it a federal holiday, though unpaid until 1941 when it was granted as a paid holiday to all federal employees. And did you know that three U.S Presidents died on this date? Both John Adams and Thomas Jefferson died on the same day: July 4, 1826, which was the 50th anniversary of the Declaration. James Monroe, died on July 4, 1831. Today we offer a toast to our Founding Fathers and all the brave men and women that made our independence possible. Cheers! At GasLamp Bar we love Extreme Sports, that’s why we’re the perfect place in Denver for sports lovers. We are the home of the Red Bull Vodka Slushy and Ping Pong fun. And we have the best happy hour in Denver. 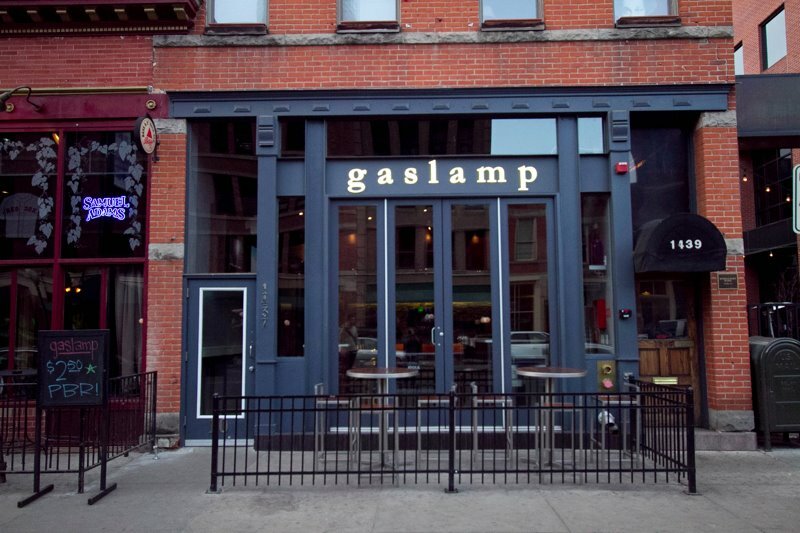 Welcome to Gaslamp! A modern style drinking establishment with a delicately designed infusion of contemporary, elegant, sleek and casual. Follow us: we Blog, Twit, Facebook, Instagram and Google+. Feel free to comment, share, retweet and please, disagree if you must.